Happy Valentine's Day! As always, I have to do some kind of love-themed post. So today, we're talking about love languages! There are five love languages, all discussed in the book "The Five Love Languages" by Gary Chapman. While I haven't read the book myself, I've learned a lot about the love languages through research and have taken the test multiple times. Basically, your love language is the thing that makes you feel the most loved. The five categories are physical touch, words of affirmation, quality time, receiving gifts, and acts of service. It's important to know your love language because it can help you better understand yourself and/or someone else. For example, my love language is acts of service, meaning I feel incredibly loved when someone does something out of the blue for me. One time, my sister drove my car for an evening. When I got it back, I realized she had filled up my gas tank. That was completely unnecessary for her to do because she had hardly used any of my gas, but she knows that I hate getting gas, so she got it for me. I almost cried because I was so happy and touched! I also know my sister's love language is words of affirmation, so I made sure to tell her just how happy and loved she made me feel and that I really appreciated what she did. So this shows you that I feel really loved when people do things that lighten the load on my shoulders or surprise me with little gifts for no reason (we have a running joke in my family that someone could give me a rock that they painted as a Christmas gift and I would love it). It also shows you that I am clearly not a very touchy person and don't need to be hugged or cuddled to feel loved. And if that tells you all that about me, just imagine what it'll tell you about your characters! I have yet to do this myself, but I am super psyched to run my character's minds through the five love language test. 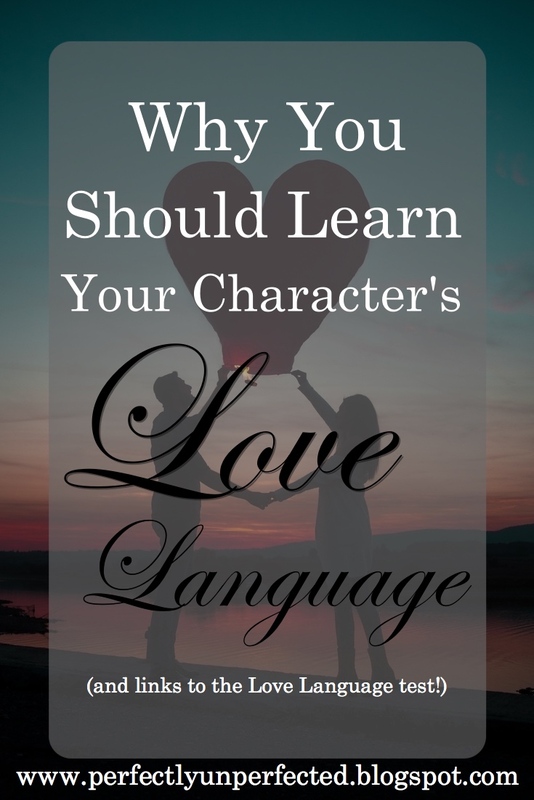 Knowing your character's love language can help you get to know them better, and it may even help strengthen relationships in your book. My two main characters are boyfriend and girlfriend, and they are fighting throughout the majority of the story. I've been struggling with understanding all of the reasons behind their frustration towards each other, but after this test I think it will help me understand. I already feel like Tripp is going to have the love language of physical touch, but Avalon definitely doesn't. In fact, the two are torn apart and aren't given much time together through the book, and that could definitely be making Tripp angry. When your love language isn't fulfilled, it can make you feel angry, frustrated, and even depressed. 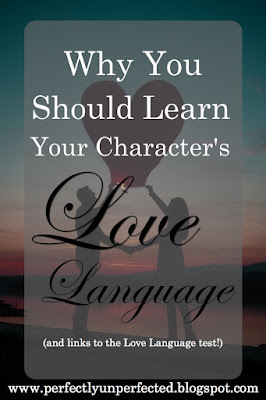 I highly suggest that you all take some time to discover your characters' love languages. The test is not super long, and it really is a helpful writing tool! I can't wait to get the scores for my own characters and see where that new information takes me. If you want to take the test (for you or your characters) you can check out the site here. Happy Valentine's Day, and happy writing! Painted rocks are awesome! I had one as a paperweight for the longest time. Hey! I love this blog and this is a little of topic but.... How do you expand your platform and find more readers??? I don't know anyone and I have been trying for a while to gain some ground on this. Sorry for the random question. Haha that's okay! Great question :) I'm most definitely not a blogging expert, but the way I expanded my platform was by putting myself out there. I worked hard on my blog's appearance to make it eye-catching, and I also use pictures that can be easily pinned or shared on social media. Pinterest and Twitter are big sites for me. Both are awesome tools to share posts and get your name out there. I also suggest following and commenting on other writing blogs as a way of joining the blogging community. Hope this helps!